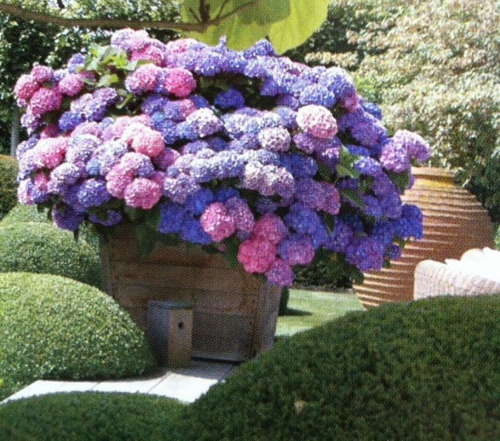 The blues and pinks of French hydrangeas are favorites. Some types even re-bloom making them even more popular. If you water and feed them consistently while in bloom they will ensure a steady supply of flowers. 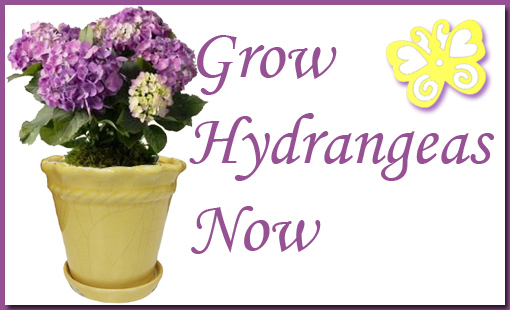 These can easily be potted and will produce big balloon-size flowers that are great for cutting and bringing indoors. The bouquets made with these are stunning and electric! Here are some great tips for how to cut the blossoms and bring them indoors to make fabulous displays of color and fragrance. Look for flowers that have fully opened and feel slightly papery to the touch. They will last longer when cut. Use one bloom color or mix varying shades to create an outstanding arrangement. 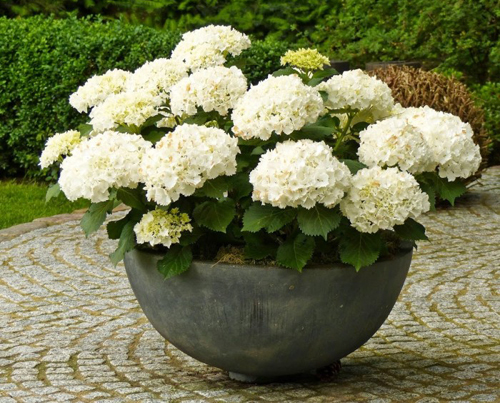 Select a generous container that supports the bloom heads when set inside. Snip the stems early in the morning. 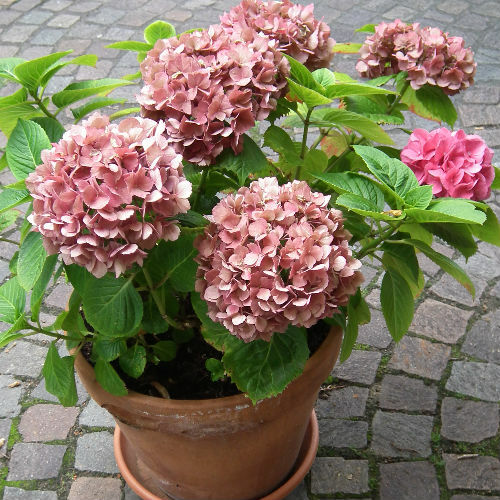 Cut at an angle, above a leaf bud and place the stems immediately in a bucket of cool water. Heat a pot of water till almost boiling, remove from heat and wait five minutes. Dip stem ends in hot water for 30 seconds before arranging in cool water. Get creative! Show off your display with a round container to echo the shape of the blooms or a colorful vase to add even more impact of color. If stems tend to shift, place a piece of floral foam in the bottom to help support the stems. Glass, metal, ceramic and terracotta, all compliment the flowers. Select a vase with a muted color tone, an antique whitewash effect or a ruffled lip like the yellow pot and saucer show at the top for big payoffs. 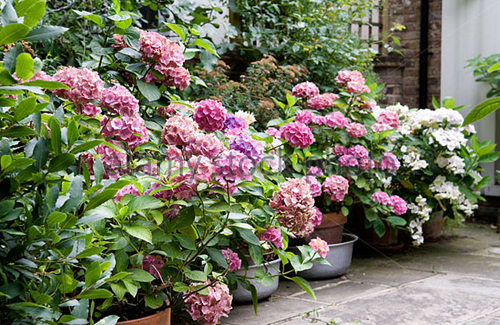 Hydrangeas are beautiful, big and easy to grow and work with. Give it a try!